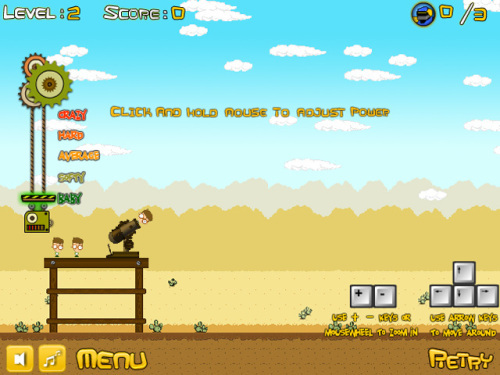 Description A well designed canon based physics puzzle flash game. Use the super hero s super powers to save their pets wich have beeing captured by the evil robots. Every level can be acomplished with 1 or 2 shots max so choose your hero wizely. Gather coins and stars to get extra points. Each level increases in difficulty and game is pretty hard, wich increase the replayability value.